An easy-care ground cover for those dry, sandy and hard-to-grow areas. Growing 8-18 inches tall, Variegated Liriope &apos;s grasslike leaves are striped in green and creamy white. From midsummer to fall, spikes of purple flowers bloom, adding pops of color to the garden. 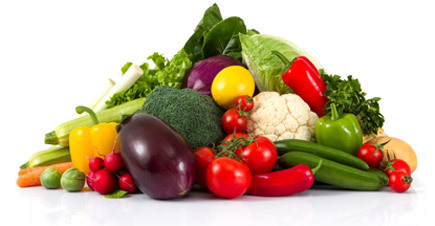 Tolerates a variety of light conditions: sun, partial shade and shade. Prefers well-drained soils and is drought tolerant, once established. 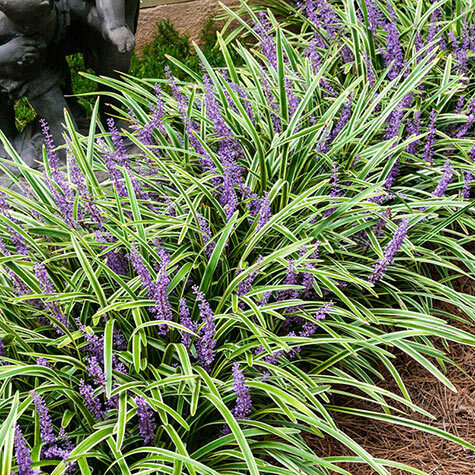 Variegated Liriope is a favorite for planting as edging or ground cover. Deer tend to avoid. Zones 5-10. Light Required: Sun or shade; light shade is ideal. Comments: Spreads by rhizomes. Excellent as an edging plant or massed as a groundcover, especially in shady places. Tolerant of dry soils. No necessary winter preparation. Hardy to -10 degrees F. Need to control slugs and snails.